Many years ago there was a television show called “To Tell the Truth.” Panelists were presented with three individuals who claimed to be the central character being discussed. At the end of the show the announcer would ask, “Will the real [so-and-so] please stand up.” Often, to the surprise of the panelists, they could not distinguish the real character from the imposters. Scripture reminds us that many misrepresent themselves and their intentions. We need to be aware of false and misleading prophets as they come disguised in many and varied forms. Often they appear innocent and trustworthy; however, they have come to distort truth and lead those who listen to disaster. 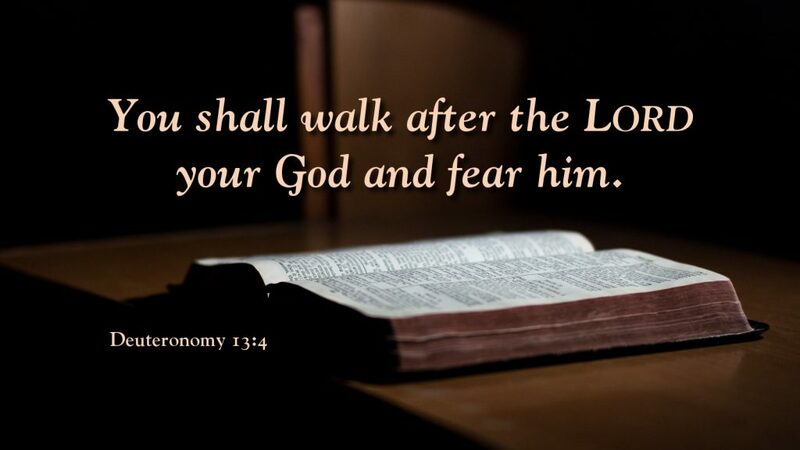 Deuteronomy cautions us to be vigilant and aware of those who would lead us away from God. They may have eloquent words or soaring rhetoric. They may make bold predictions and claims. They may even be our friends or relatives or live in our community. But if they claim any god or power other than the living God proclaimed in Scripture, they have come to do harm and we are not to listen to them. Prayer: Father, help us to hear your voice alone. Amen.